The second-largest European low-cost carrier easyJet, based in the UK, has been issued with an Austrian air operator’s certificate (AOC). Such a move will allow the airline that operates multiple routes in Europe to protect itself from the possible legal consequences of Brexit – Britain’s seemingly inevitable withdrawal from the EU. easyJet Europe, a newly formed company, shall be flying under the Austrian AOC. For the time being, its fleet consists of a single aircraft that made its first flight on July 20. According to the CEO of easyJet Carolyn McCall, easyJet Europe will not expand its fleet until winter. The European division of easyJet is based in Vienna. It became the third legal entity in the easyJet group. The other two are London-based EasyJet Airline Co. and Switzerland-based EasyJet Switzerland S.A. All three in one way or another belong to the holding company EasyJet plc. It has not been yet decided, whether the reorganization of the entire corporate structure will be required in connection with Brexit. In October last year, easyJet predicted that the UK’s break with the EU would become one of the factors that would provoke a decrease in the revenue of the LCC in the 2015/2016 fiscal year (completed in September 2016). The results showed that the decline in pre-tax profit was 27.8% (to 495 million pounds). 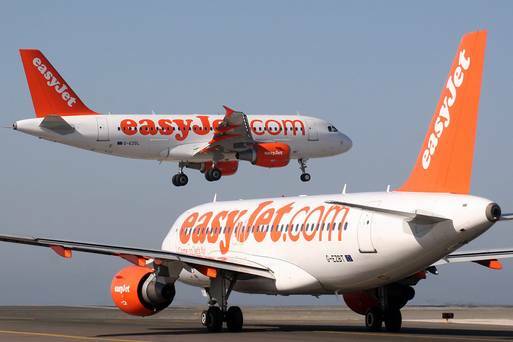 The pre-tax profit will be 380-420 million pounds in 2016/2017 fiscal year, easyJet predicts. According to the company, the establishment of easyJet Europe will create a number of new jobs in Austria, but no jobs will move from the UK to Austria. All of easyJet’s UK employees will continue to be based in Luton and our 11 UK bases and be employed as they are today. The Vienna-based offshoot will be led by Thomas Haagensen, currently easyJet’s Country Director for Germany, Austria and Switzerland. Ireland’s Ryanair – Europe’s largest airline by number of passengers carried – is also preparing for the negative consequences of Brexit. A year ago, its CEO Michael O’Leary announced that the carrier would shift the emphasis from the UK to Europe in its development plans. He also did not rule out that to preserve commercial rights, Ryanair can issue a British operator’s certificate. Residents of Britain voted to leave the EU in a referendum on June 23, 2016. The country is expected to officially part ways with the EU in March 2019.